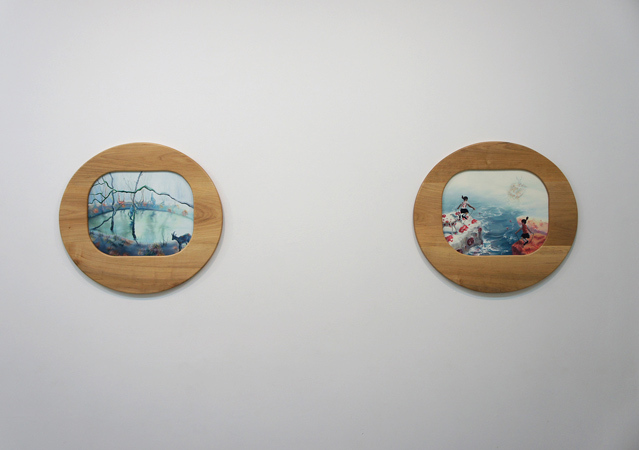 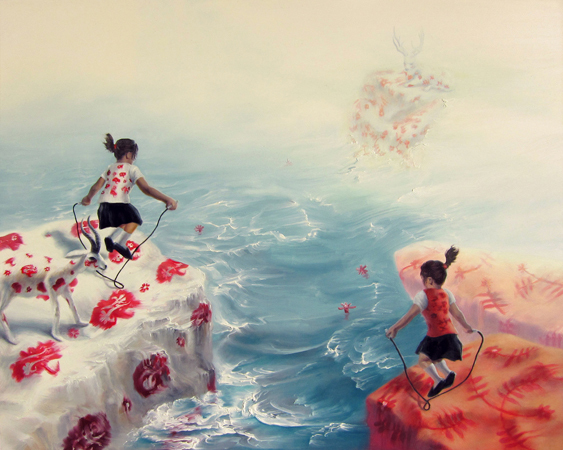 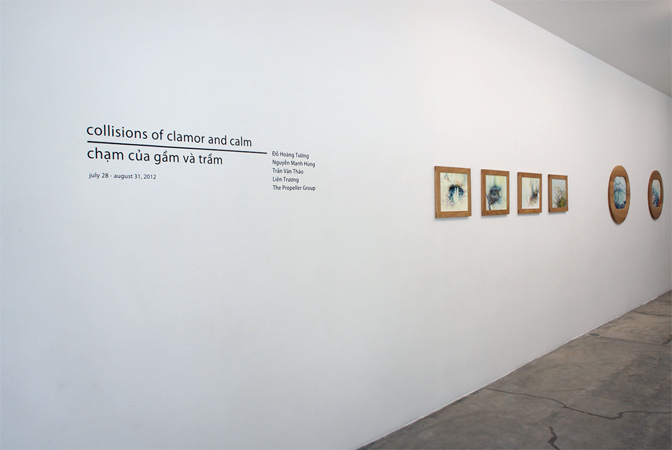 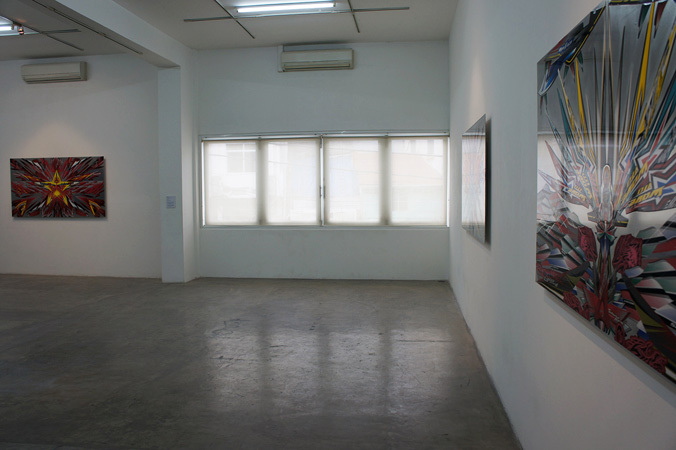 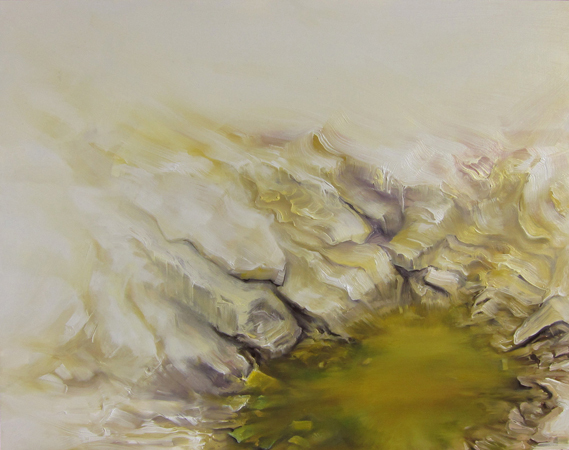 Galerie Quynh is pleased to present Collisions of Clamor and Calm, the gallery’s summer group exhibition of works by Do Hoang Tuong, Nguyen Manh Hung, Tran Van Thao, Lien Truong and The Propeller Group. 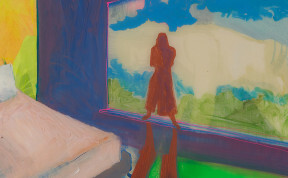 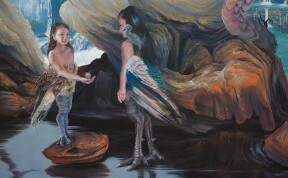 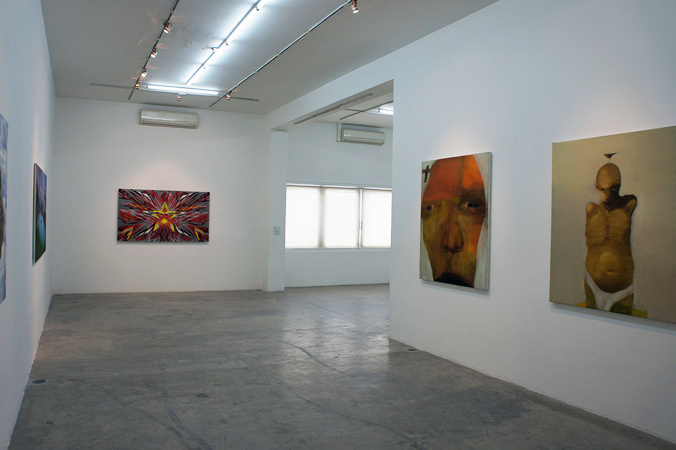 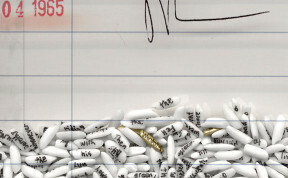 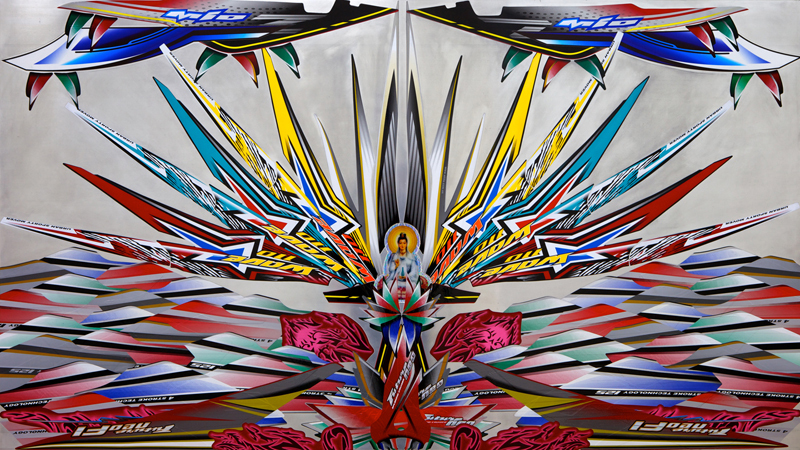 Comprised of new and never-before seen work, the exhibition also gives visitors the opportunity to view a selection of works recently presented by the gallery at the prestigious Hong Kong International Art Fair in May 2012. 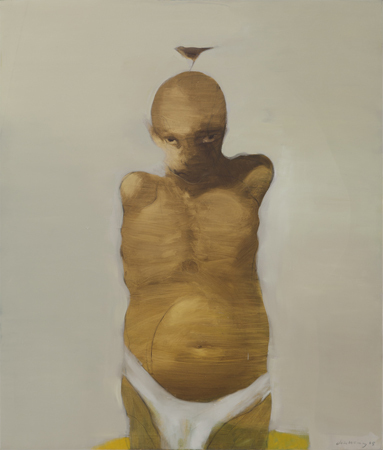 Respected Ho Chi Minh City-based artist Do Hoang Tuong presents two earlier works that display the artist’s strength as a figurative painter. 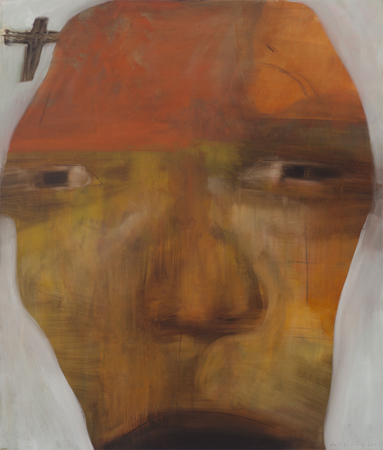 In keeping with his reflections on modern life and the isolation of contemporary living, Tuong’s somber paintings nonetheless celebrate the resilience of the human spirit. 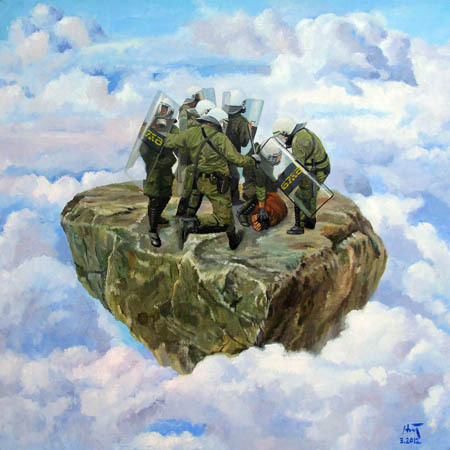 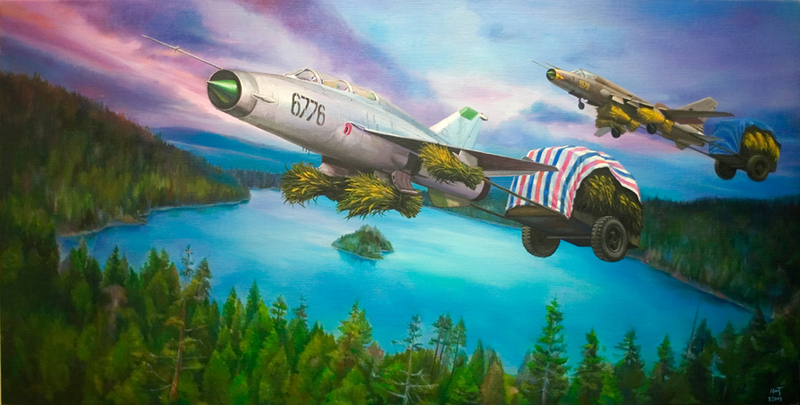 A new addition to the gallery’s roster of artists, Nguyen Manh Hung presents three paintings that illustrate the Hanoi-born artist’s long-held preoccupation with the military. 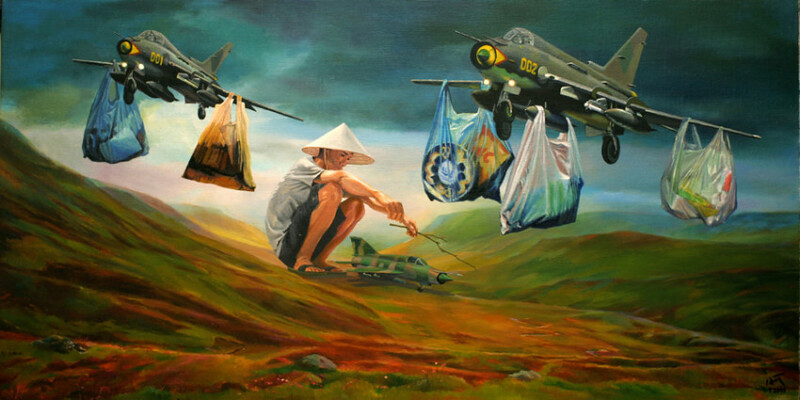 Depicting fighter jet planes soaring across the skies with oversized food items, Hung’s paintings recount the contradictions of present-day Vietnam. 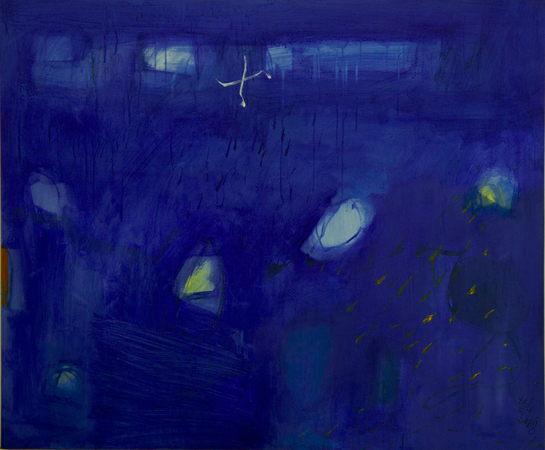 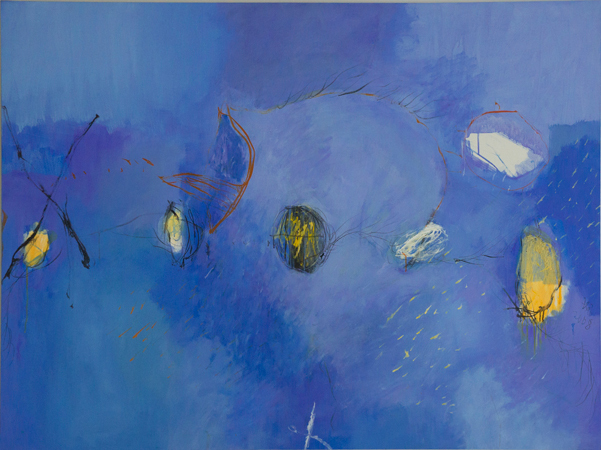 One of the country’s most accomplished abstract artists, Tran Van Thao unveils two Rain in Sunlight paintings that depict the dramatic tropical skies of southern Vietnam during the spring and summer rainy seasons. 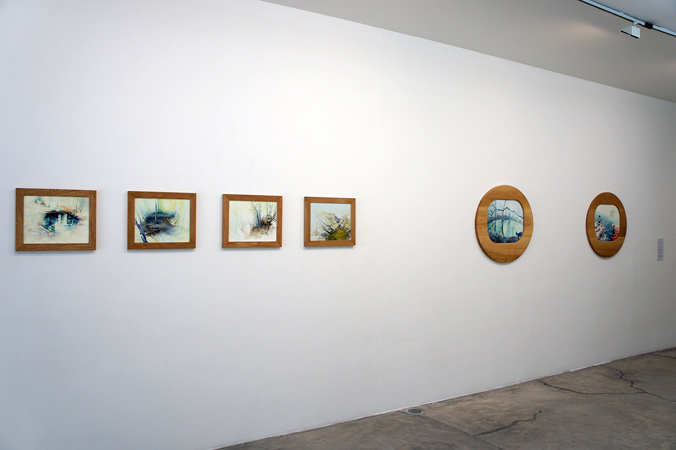 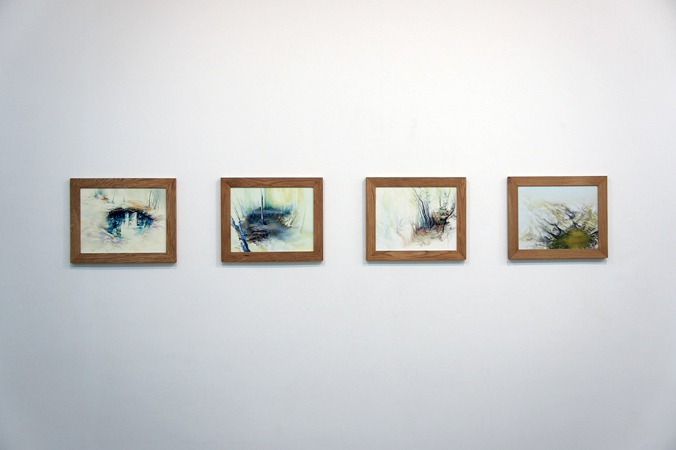 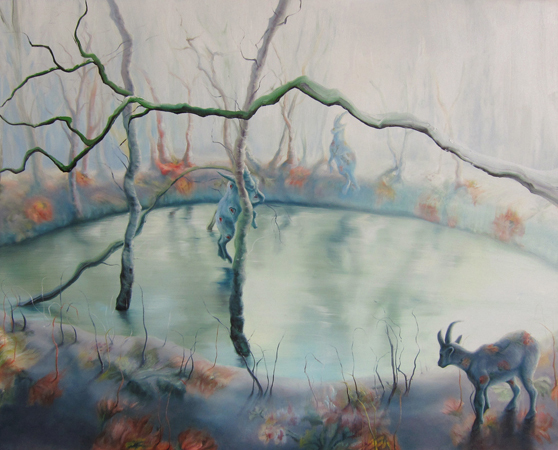 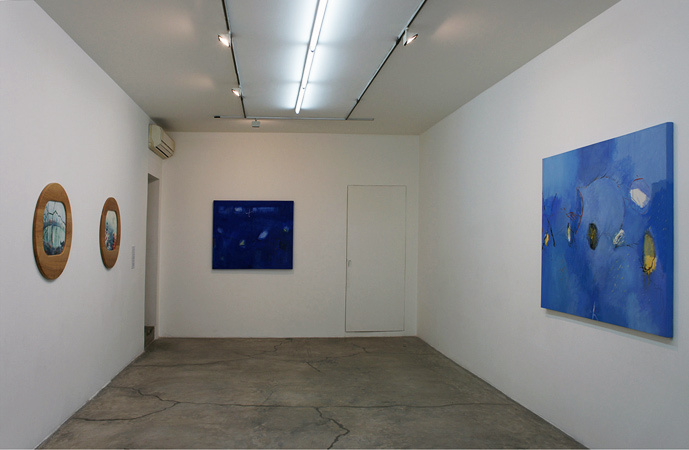 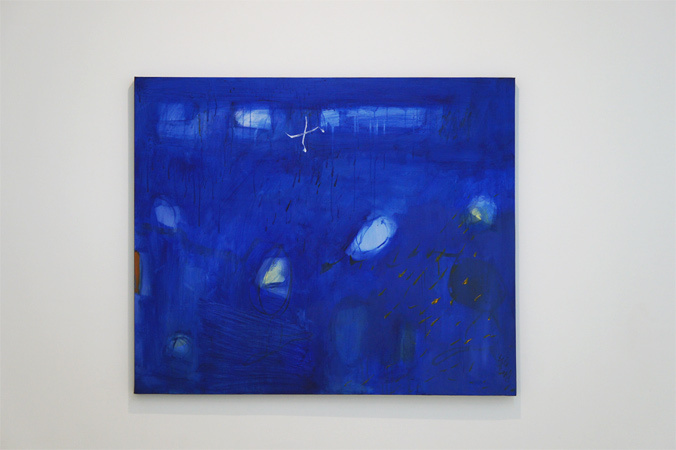 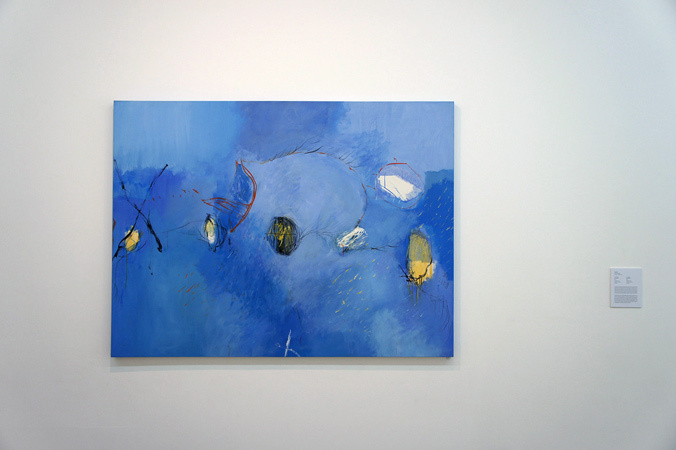 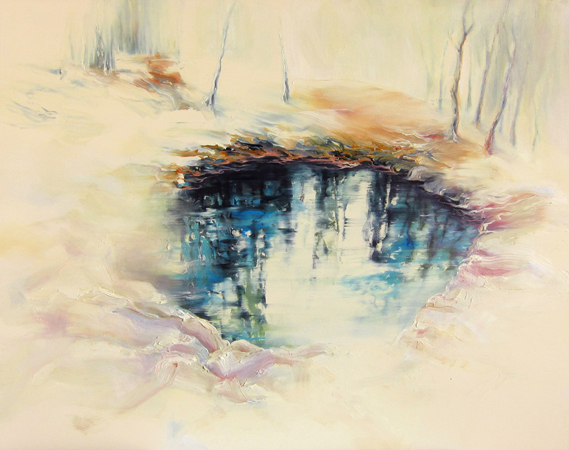 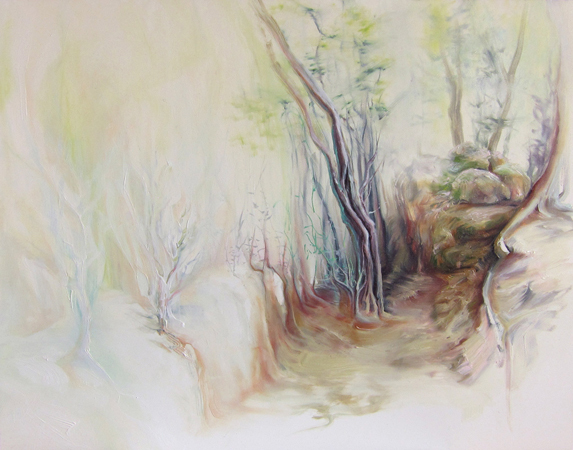 Dominated by blue, the paintings illustrate the artist’s profound understanding of the local environment and the climatic conditions that characterize the region. 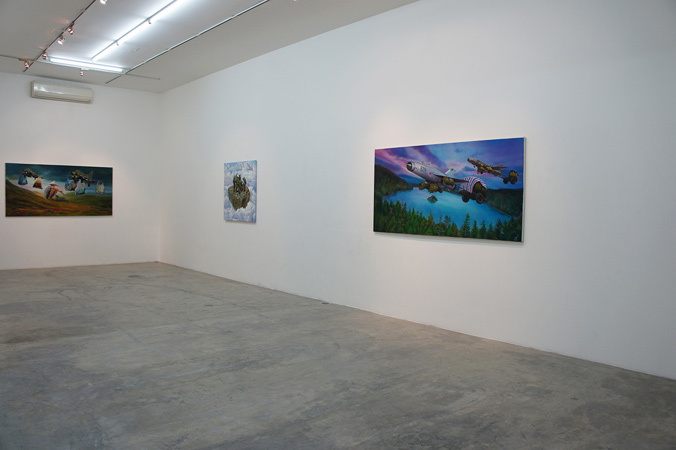 New works by California-based artist Lien Truong include a selection from her Bomb Crater and social camouflage paintings. 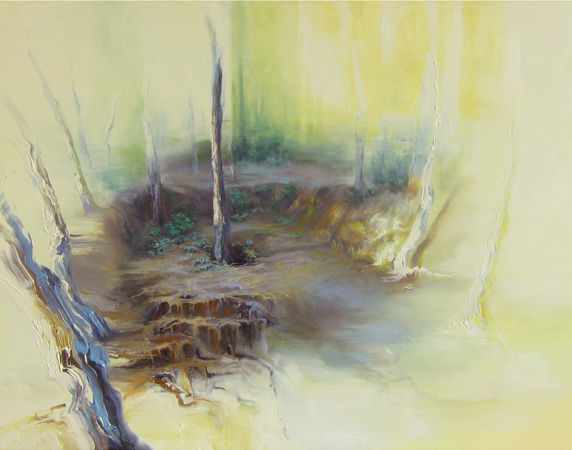 Exploring the sites of crater bombs that exist in various countries, Lien’s anxious yet elegant landscapes reveal the capacity for renewal amid destruction. 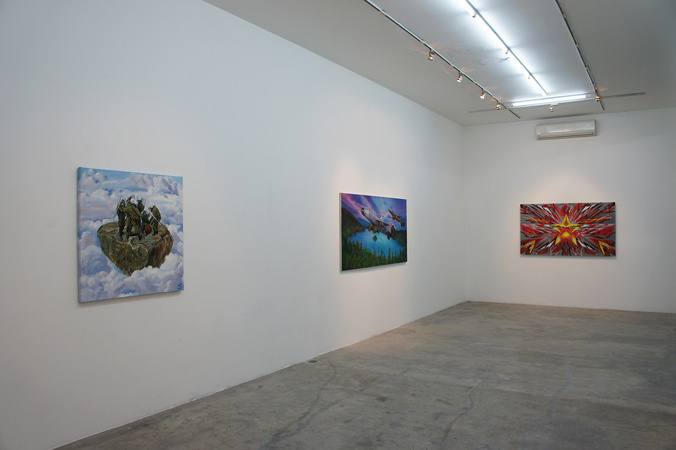 Referencing historical or current relations of conflict, the Camo Chronicle paintings address the implication of culture in geo-political conflicts. 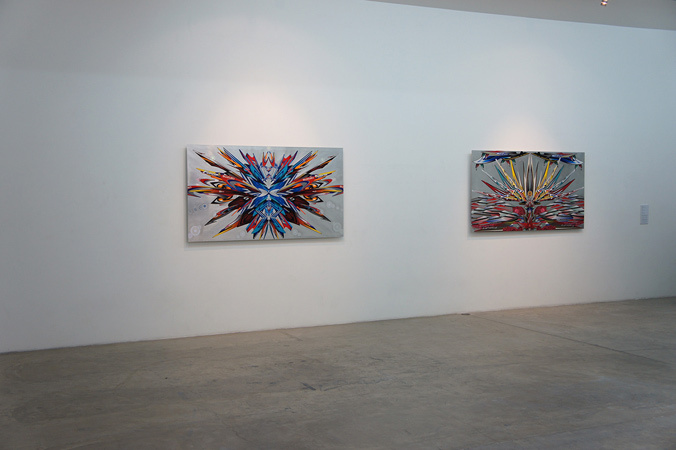 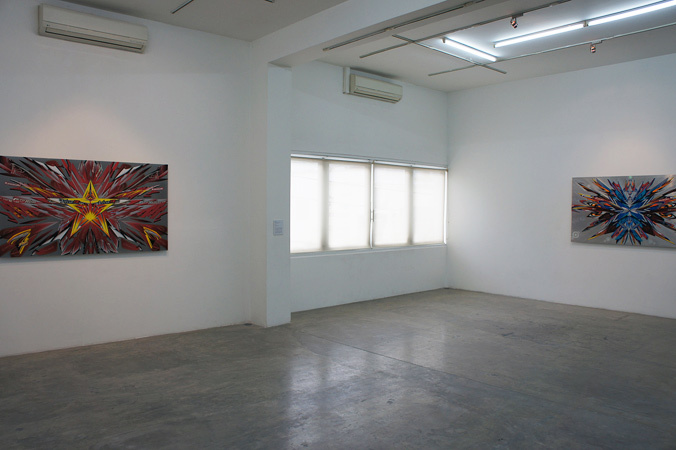 Ho Chi Minh City and Los-Angeles based art collective The Propeller Group (formed in 2006 by Phunam, Matt Lucero, and Tuan Andrew Nguyen) present three Collision panels from their most recent body of work entitled Static Friction. 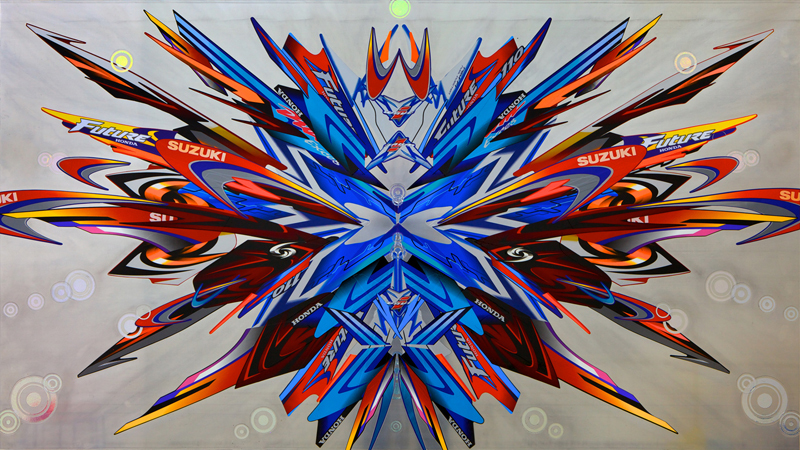 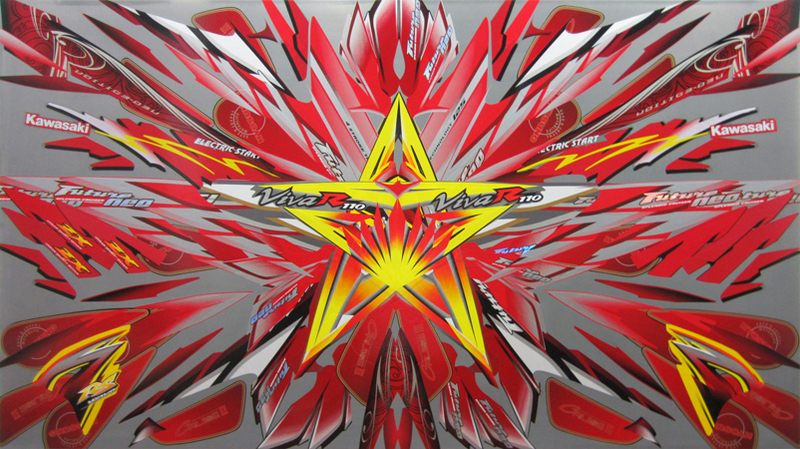 Using glossy and colorful vinyl decal stickers, the artists have created vibrant and surprising compositions that celebrate the rich aesthetics and complexities of motorbike culture.